Our ultimate goal is to assist you in creating wonderful wedding memories! We’re here to provide the best wedding transportation in Phoenix on the day that you make it official! Our service is one of a kind, just like your wedding; that’s why we provide the option to personalize your Phoenix wedding limousine with whatever you may need to make your big day even better. Our courteous chauffeurs are always obliging to special requests to help you customize your experience. Providing expect chauffeurs who are not only skilled in the driving, but customer service as well. You can expect our helpful team to work with you and your weddings planner to meet the dream you have envisioned. Secure reliable transportation newlyweds can count on for sparkling and cozy vehicles, professional drivers, and punctual and affordable service. Discover a flawless limo service you can cherish for its flexibility, luxuriousness, and dedication. Available even on short notice for small and large weddings alike. Choose from multiple color and design options, find great priced wedding packages, and chauffeurs that will work with changes in plans, extra stops, and additional accommodations. We understand that great transportation can have the ability to achieve a romantic, comfortable, and fun atmosphere to compliment your wedding, while bad service can have the potential to ruin, or at least set back your wedding day quite a bit. That’s why we are always prepared. We stay on top of current traffic issues, events, and more, so you can always count on us to be on-time. We also have our vehicles undergo routine maintenance for a smooth and dependable ride. Each vehicle is fully detailed every after use, and polished to sparkle for a genuine clean. 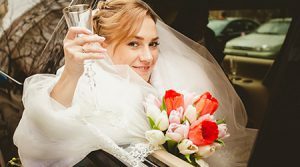 Next time you search a wedding limo near me, choose us, and give us the opportunity to delight you with our attentiveness and amazing Phoenix wedding limo service.